Of all of the questions I get asked, the second most common question is how do I get my site to rank higher in search. And although not asking specifically about Google, Google is commonly mentioned because it is by far the largest and most important search engine. There are a number of simple and straight forward things anyone can do to help their site rank better. I will use Google as the example but the same actions apply to most other search engines. Firstly, Google is not the enemy. Google is trying to deliver the best possible results for a search query. It is important to keep this in mind. If your website delivers exactly what someone is searching for it will be offered up in the search results. The only problem is there may be a lot of other websites that are trying to do the same as you. Google wants to give users exactly what they are searching for at the time they are searching. This requires you to think like your customer. What would a customer come to your website for? What search term or phrase would they use? Hoe specific or general might they be in the search query? Although we don't specifically promote our SEO credentials we do keep SEO in mind when we create our websites and we incorporate many of the best SEO practices mentioned on this page into our website design. What follows are some of things we've learnt about on–page optimisation, and some of the important considerations when building your website. This is only part of what is needed to achieve good SEO, so look out for more news on SEO. If you would like more information about SEO please don't hesitate to contact us. 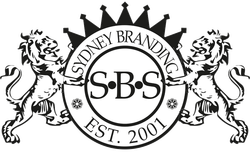 Your domain name is one of the most important aspects for being found (which is why we've switched from 'Eyelight' Design' to 'Sydney Branding Services'). It should reflect as closely as possible what you do or what you are offering. If what you are offering is primarily targeted to the Australian market (not international) then it is better to register and use a .com.au domain rather than a .com domain. But for the cost of domains these days, you can probably register both. Just don't duplicate your website under the second domain s you can penalised for this. Be clear about what keywords you want be found for. These are the words or phrases that users will use to search for your site. So put yourself in the shoes of your target audience and think what words they will use to find your website. For keywords that brought visitors to your website add Google analytics to your web pages. Open a Google adwords account and use the the keyword suggestion tool you don't need to invest in an adwords campaign to use the tool. It is important that your website is properly structured to enable Google to crawl and index your website correctly. Have a good page url's that describes the keywords that the page is targeting. For a medical example – instead of 'procedures' target keyword search with a specific procedure. For instance 'heart surgery procedures'. A page title can be around 60 characters long and you can use all of these to let search engines know what the page is all about. Your page description is generally ignored in indexing but is useful in attracting click through from search results. So make the description compelling. Use hyphens or underscores in the page url to help search engines break up words. Menu items need to be be text, not graphics or flash files for google to 'read' them. Menu items need to have a page attached not just used to show a sub menu. Without a page attached Google 'sees' a dead end. Pages need to be structured correctly with a page heading that tells what the page is about. Bold sub heads that split text into logical sections. Body text need to be clearly written to reflect only what the page is about. Use associated keywords in your body as well as repeating your targeted keyword or phrase throughout your text. Avoid using keyword saturation as this will be penalised. Text should be hyperlinked to other pages or external sources where appropriate. Images, which Google cannot 'see' need to have alt tags that relate to the page content for the page they are on. The image can also relate to your keyword. e.g. instead of 'image-0001.jpg' use 'image-description.jpg'. Make sure you website has site map associated to make indexing easier. Blogs and having users contribute to your website through comments increase rankings and means you have less content to generate. Send email newsletters and add a newsletter archive to your website.